Among the producers who stood out in this 2018 impossible not to mention Xiaomi. 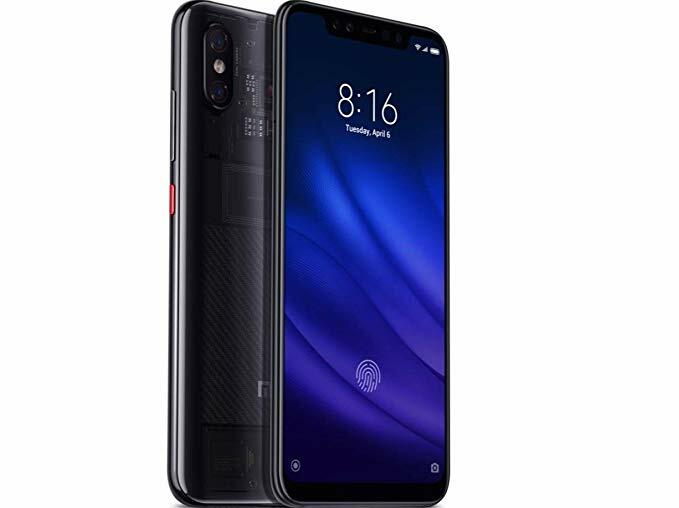 A truly profitable year, enhanced by the release of this Xiaomi Mi8 Pro, a top-of-the-range product with very interesting technical solutions. The peculiarity of this smartphone is undoubtedly its transparent body designed to show off its “naked” nature; in fact, the Mi8 Pro has no rear cover to reveal the internal components. In reality it is only a stylistic quirk, the chips that can be glimpsed are reproductions in plastic but the effect is really spectacular. 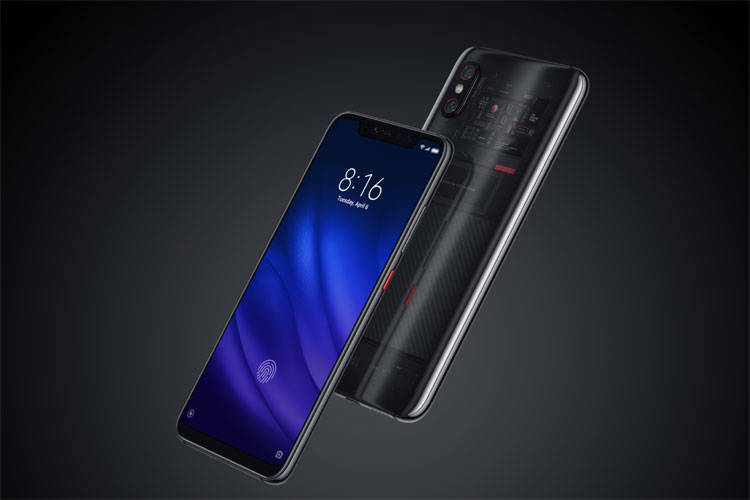 Inside, however, the processor is anything but plastic, as the Xiaomi Mi8 Pro smartphone brings the Snapdragon 845 chip, the most powerful in circulation today. As for the front, the aspect ratio is the now classic 18:9 to make room for a 6.2-inch SuperAmoled display. We are in fact in the presence of a smartphone with generous but well-proportioned dimensions. We conclude the description by pointing out that the body has metal finishes and on the back there are two photographic sensors, while the fingerprint is positioned on the front of the phone. The Snapdragon 845 on board uses 8 GB of RAM with the ability to store up to 128 GB of data without being able to expand it. Needless to point out that the available power is sufficient for any operation, even the most complex like the games, which use the excellent integrated GPU. Every operation is immediate as well as the opening of any Internet site. On board there is not even the NFC chip, now indispensable for mobile payments. Finally, the biometric sensor deserves a separate discussion. Xiaomi placed it just below the display, a brave and scenographic solution. When you place your finger, a pleasant animation underlines the contact before the release; it seems nonsense but the first few times you will use it even if you don’t need it, just for the sake of looking at it. Unfortunately the operation is not as pleasant as the animation, in fact it is not always impeccable and will oblige you to repeat the gesture. Fortunately, things improve by using facial recognition (unlocked on the Mi 8 Pro by the new version of MIUI 10), which enables everything to run faster. We also emphasize the lack of a 3.5 mm headphone jack, even if a USB Type-C adapter is included in the package which partially mitigates the disappointment. In the package you will also find a convenient transparent silicone case, useful for protecting the Mi 8 Pro. The top of the line of Xiaomi Mi8 Pro spares nothing in terms of design. External metal finishes, rear glass cover and even a fake component that can be admired through the transparency of the glass. To complete the whole a carbon texture and a double camera with the sensors highlighted by a red circle. In short, in addition to being powerful, Mi 8 Pro is really nice to see. Generous and bright the 6.2-inch Super Amoled panel used on the Mi8 Pro. The resolution is instead Full HD + (1080 × 2240 pixels) and offers good visibility even in the presence of direct sunlight. The colors are saturated but well contrasted as one would expect from a display of this level. The format is obviously in 16:9 and there is the classic notch on the top of the panel. 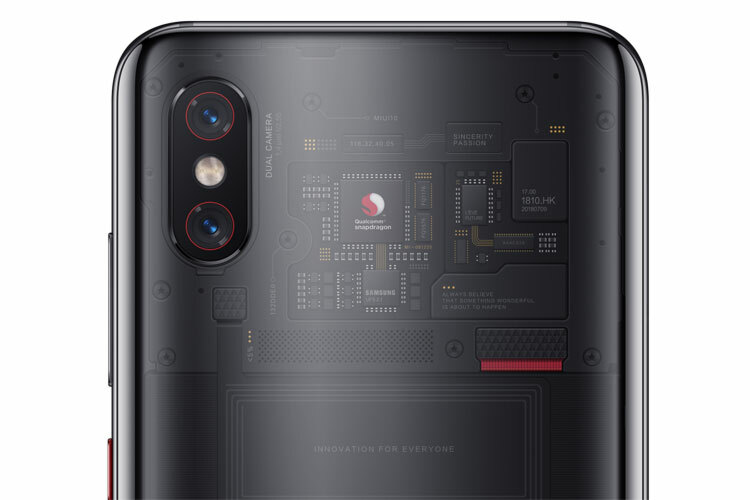 Very full-bodied the photographic section of Xiaomi Mi8 Pro that uses a dual sensor 12 + 12 Megapixel. Obviously the focal lengths are different: the f / 1.8 is stabilized, while the f / 2.4 focal point allows the image to be zoomed. Together they allow, among other things, to show off an excellent blur effect, also known as the bokeh effect, to highlight the subjects in the foreground. The quality is good, both in terms of color and detail; HDR works very well and, when used together with artificial intelligence (able to recognize the scene to be taken), the results are surprising. The night shots are lower than those of the competition (always in the top category) but are still good for amateur use. There is also a 20 Megapixel front camera that allows a great blur effect. Finally the Mi 8 Pro is able to record stabilized video with maximum resolution in 4K. The performance of the ear capsule and microphone are in line with the smartphones in the segment. The ear capsule reproduces a crystalline sound free from metallic inflections; the quality is excellent both in terms of volume and sound, even with the speakerphone. The only comment we feel we are dealing with is the proximity sensor that tends to “fall asleep” during calls. We arrive at the end of the evening but with difficulty. We are in the middle of the segment but there are no miraculous performances with this 3,000 mAh battery. Xiaomi Mi8 Pro is a great phone even with a few small smears. The fingerprint sensor and the proximity sensor make some whims and the 3,000 mAh battery arrives at the end of the day struggling. Then the headphone jack is missing. In contrast it has everything you could want in a top of the range starting from the most powerful processor of the category and a quantity of Ram memory (8 GB) really enviable. All operations are immediate, without slowing down, and the phone almost never overheats. Mi, Xiaomi, Xiaomi Mi8 Pro. Bookmark.